This is the website for the Scoutmasters Camporee Committee of the South Florida Council, Boy Scouts of America. See the Camporee Announcements page for the latest details and new events. Explanation of the 2020 theme: Scouting is the game we play; the S Games are about challenging you as a Scout as a troop, as crew, as a pack, as a patrol and as a den to see what you're made of! I'm going to build a competition next year for you, your challenge is to get ready for that competition to do that you must challenge yourself physically and mentally ready in the Scout Way by learning everything you can to make you the best Scout. The challenges will come from things you have done in Scouting which involved physical fitness, canoeing, climbing all the way to everything you learn to earn from Tiger to First Class. Start building your skills, prepare your troop, crews, patrols, packs, dens and teams. More information to follow in the coming months! The Town of Davie and the Scoutmasters Camporee Committee invite you to attend the annual Memorial Day Parade and Ceremony to be held on Monday, May 27, 2019. The Parade begins at 10:30 a.m. and will proceed east on Orange Drive beginning at the Davie Fire Administration (6905 Orange Drive) and ends at the Bergeron Rodeo Grounds (4271 Davie Road, Davie, FL, 33314). Please be sure to park in marked spaces or park at the Rodeo Grounds and walk back to the starting location. Bring your family, friends and celebrate Memorial Day with the Boy Scouts. View the flier. Register to participate in the Parade by submitting the web form (closes Friday, May 24 at 11:59 p.m.). Flags and Memorial Day patches ($4) can be reserved and pay cash at the Parade. Any reserved patches not picked up prior to the start of the Parade will be made available for sale. 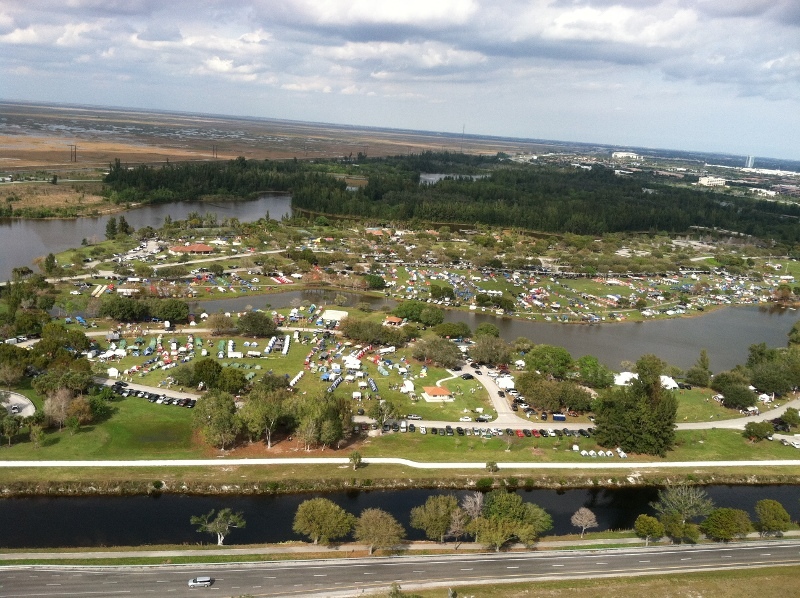 If you have any questions, or need additional information, please feel free to contact Scott Martinie, 2020 Scoutmasters Camporee Chief and 2019 Memorial Day Chairman by email by going to our contact page and submitting the form, phone: 954-336-1710 or contact Anna Francis, Special Events, at the Town of Davie at 954-797-1181. Following the parade, a Memorial Ceremony will take place under the Rodeo Arena. This is an excellent opportunity to show your support for our soldiers and recognize the sacrifice they have made and are making to ensure our freedom. The Service will last an hour and is guaranteed to make an impression on your entire family. Flags will be available prior to the service for $1.00. During the service, flags (purchased or you may bring your own) can be placed on veteran's grave markers. In addition to the Memorial Day patch, 2019 Camporee patches, hats and t-shirts will be available for sale at the Rodeo Arena. 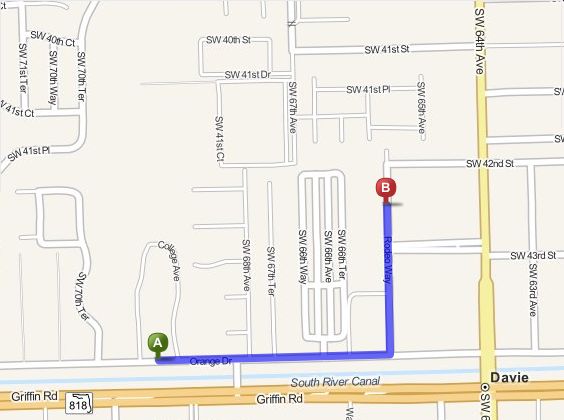 10:00 a.m. - Memorial Day Parade Assembly at Davie Fire Administration (6905 Orange Drive). Scouting units and community organizations are encouraged to participate and check in by 10 a.m.
10:30 a.m. - Memorial Day Parade Step-Off. Please be assembled and ready. 11:00 a.m. - Memorial Day Service held in the Davie Bergeron Rodeo Arena (4271 Davie Road, Davie, FL, 33314). FLAGS will be available prior to parade step-off and ceremony for $1.00 each. During the service, flags (purchased or brought) can be placed on veteran's graves markers. The Memorial Day Weekend activities are an official South Florida Council Scouting activity. The Town of Davie donates significant manpower and resources to assure a successful event. You are encouraged to participate in this worthwhile event. This weekend is designed to give your units an opportunity to have fun and participate in the true meaning of this National Holiday. We will look forward to seeing all of you at this event. Let us, then, at the time appointed gather around their sacred remains and garland the passionless mounds above them with the choicest flowers of spring-time; let us raise above them the dear old flag they saved from his honor; let us in this solemn presence renew our pledges to aid and assist those whom they have left among us a sacred charge upon a nation's gratitude, the soldier's and sailor's widow and orphan. Click for the 2019 site roster as of 02/10/2019 or the 2019 site layout map as of 01/25/2019. A Google map satellite view of Markham Park. The final 2019 Camporee booklet (v 1.8) is available for download. Camporee booklets back to 2005 are available on the History page. 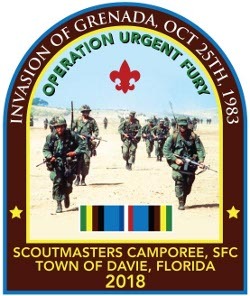 The Camporee theme is linked to the booklet. These forms are form field enabled meaning they can be filled out on a computer and then print the completed form. The cursor will change to an I bar when placed over a field. Click in any field to move the cursor there. Pressing "tab" will advance one field; "shift" + "tab" to go back one field. Subscribe by email - no Yahoo ID required or go to Yahoo Groups and sign in.